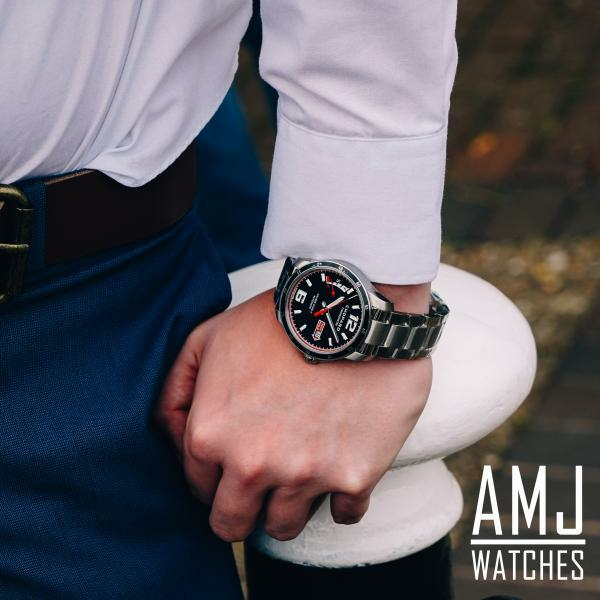 Up to 60 months 0% Deposit, 0% APR finance from only £100.67 per month. 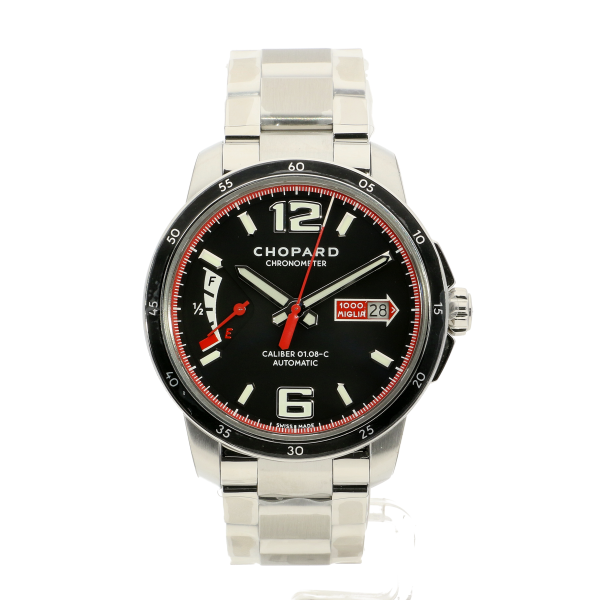 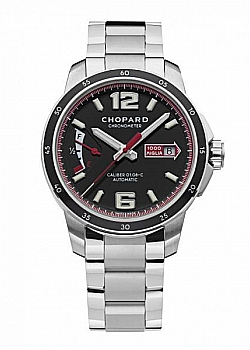 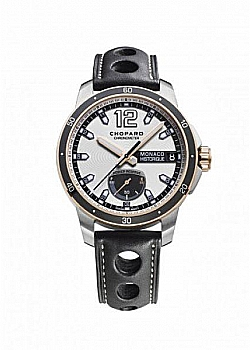 Power, resistance and aesthetics come together in the Mille Miglia GTS Power Control, a resolutely masculine timepiece bearing all the hallmarks of Chopard expertise. 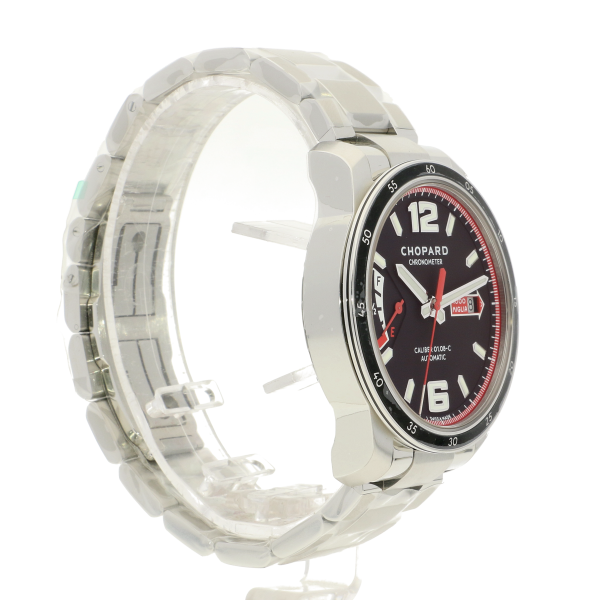 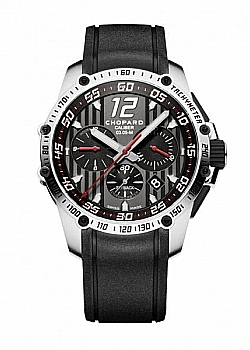 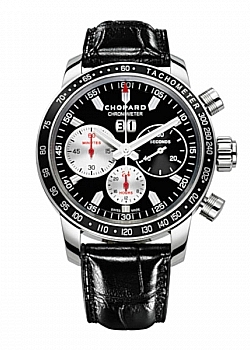 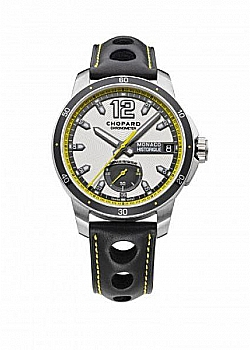 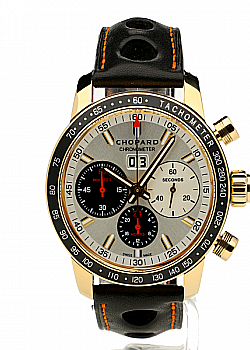 Housing the self-winding Chopard Calibre 01.08-C and beating at a frequency of 28,800 v.p.h, this stainless steel watch on a matching bracelet features an emblematic black-dial with a power-reserve indicator at 9 o'clock. 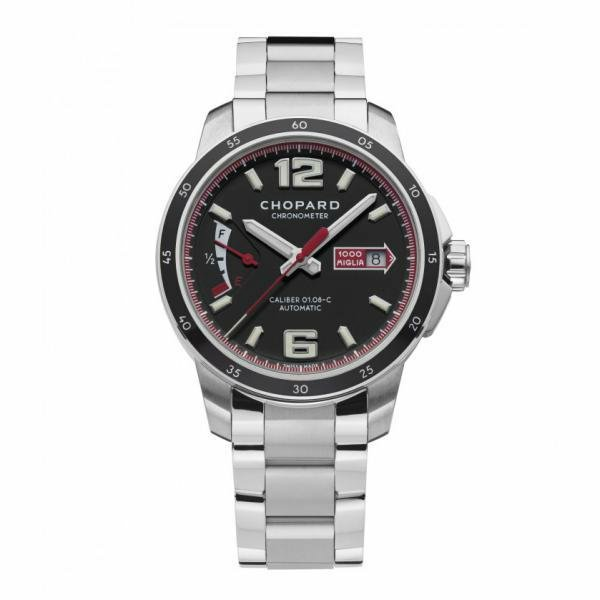 Chronometer-certified by the COSC, the movement is equipped with a stop-seconds function allowing ultra-precise adjustment. 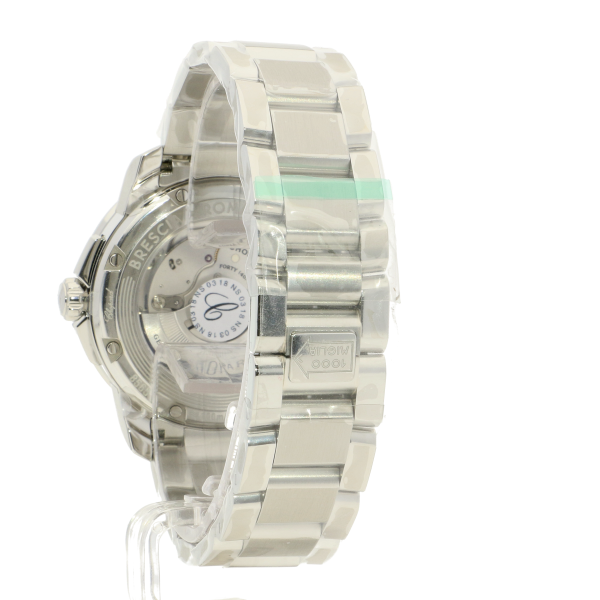 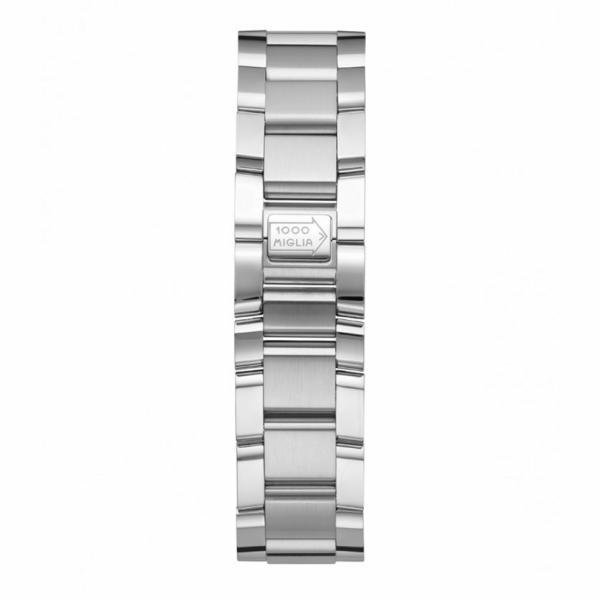 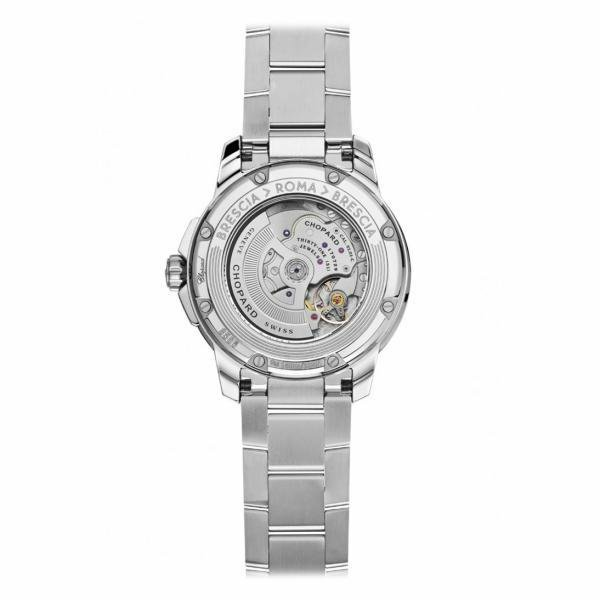 Water-resistant to 100 metres, the 43mm case is equipped with an anti-reflective, scratch-resistant sapphire crystal. 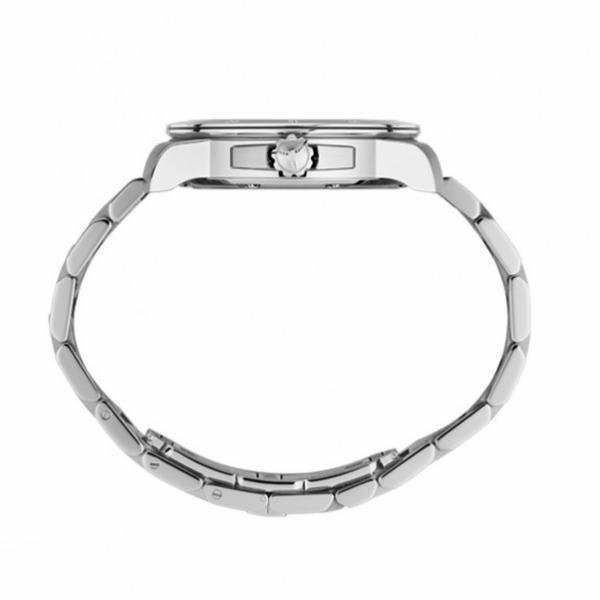 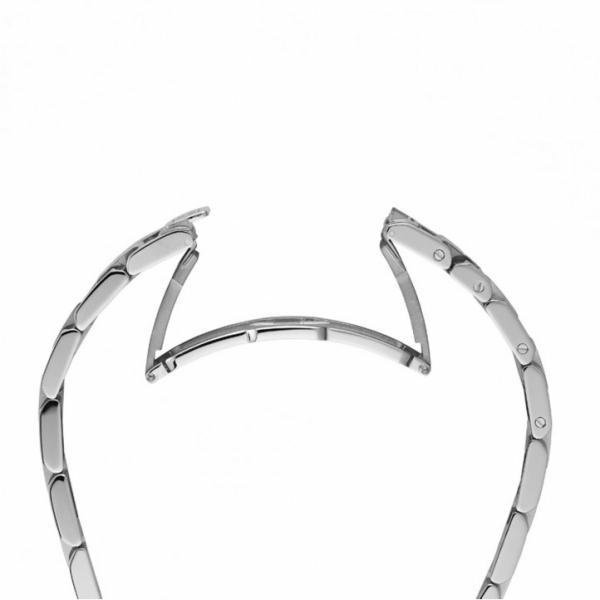 The movement, driven by a tungsten oscillating weight, can be admired through the sapphire crystal case back.